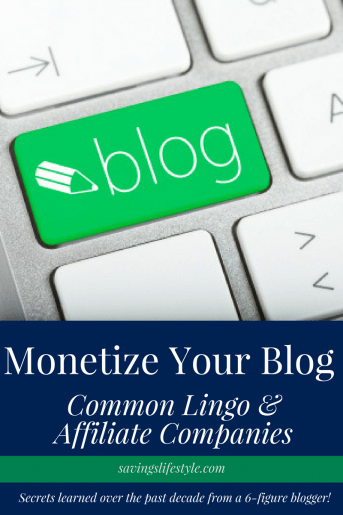 Monetize Your Blog: Your Voice=Money! I think affiliate marketing and other ways to earn with your blog/website is great! As I've been blogging for nearly a decade, I've learned so much and understand which affiliate companies are the best (and which ones to steer clear from). Before you get into affiliate marketing, I always encourage you to look at what the focus of your site is. I have seen publishers get into a niche because they feel it’s more profitable than others. While there are more opportunities for various niches to earn, no one niche is going to make more than any other. 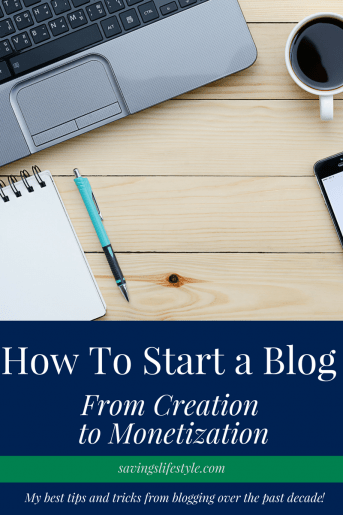 Regardless of what your site’s focus is on, I would encourage you to step outside your “blog” of posting and see how any of these affiliates can organically fit within your own posts. 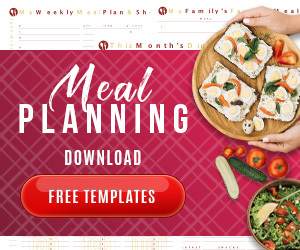 I have helped and have seen many bloggers find a way once they figured out what was available (these were NOT coupon or deal related sites either!). It’s completely possible but it won’t just jump out at you at first. YOU have to take the time to see what is out there and YOU have to make it happen. This is where influence comes in. If you have 100 readers a month but all are extremely loyal to you and your recommendations, you can earn a decent income with affiliate marketing. When people ask “Well, how much realistically?” I always respond the same “How much work do you want to put in?” It’s up to you. That’s why it’s called being an entrepreneur. You create the rules for what you post about and how much work you want to put into it. As you get into the territory of affiliate marketing, there are a few terms you will hear frequently. You need to understand what these mean because they can make a difference in your income potential. Compensation Per Click. You are paid each time someone clicks on the link you advertise for the company. Cost Per Action or Acquisition. Revenue is earned each time a specific action is taken. 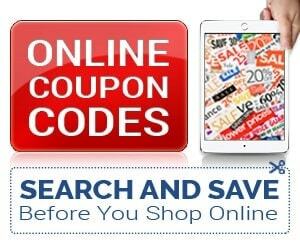 This may be a sale, registration or other type of lead as per the affiliate agreement. Revenue is earned each time a lead occurs. This may be a new signup to a newsletter. Pay per sale. Revenue is earned each time a sale is made per the affiliate agreement. This may be something unique where you get one amount for any new customers, and existing customers you receive a commission payout. Revenue is earned each time a sale occurs. The commission is agreed upon in the advertiser terms. These are the banners, widgets or displays that you may use in advertisements. Pay close attention to which creatives are approved for promotion. Also be mindful of how you may promote each creative. Newer stipulations are restricting the use of promotion directly on Facebook. Cookies are placed on a computer during the visit to an affiliate site. If a visitor clicks and does not make a purchase or finish a lead, you may still have potential to earn from their visit down the road. These web cookies stay tied to that visitor for a period of time. If they come back the next day, and your affiliate agreement has the web cookies expire in 48 hours, you can still earn from that sale or lead. Check your affiliate terms to determine how long cookies are set for each visit. A conversion is getting the desired action. If you are running a CPC ad, it’s getting that click. If it’s a commission based ad, it’s getting a reader to make a purchase. Often times you may hear others say “this offer converts well.” This means, the offer has a high success rate for obtaining leads, commission or clicks. So, what affiliate marketing companies have we had success with? Some of my first affiliate resources were for online survey companies. I was organically sharing about these companies as a way to help others earn a few extra bucks. Once I realized I could actually earn a commission or lead payout for each new member, I started using affiliate links instead of using the company’s referral program. As mentioned above, it will take time to figure out which programs will do well with your audience. The easiest place to start is find out what you’re already promoting and see if there is an affiliate program for that product or service. Evaluate the performance on a regular basis to determine what converts the best for your audience's interests. Here are a few affiliate marketing companies that we personally have experience with. Several of these companies are networks that represent multiple brands. My suggestion is to apply for several and make a list of the brands/offers that you want to focus on for promoting to your audience. *Company also offers a publisher referral program. Do you have experience with other affiliate marketing companies?